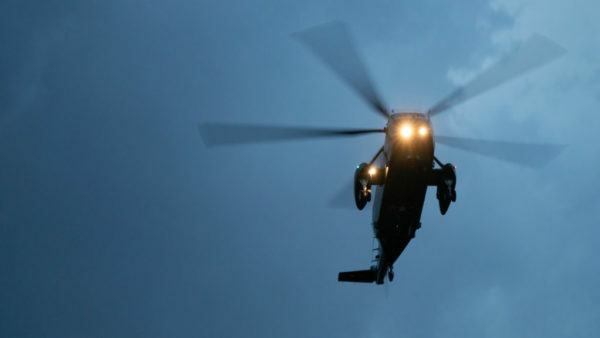 Rep. Don Beyer (D-8th District) and other D.C.-area lawmakers are pressing for a new study of helicopter noise in the area, a persistent concern for many Arlingtonians living near the county’s copious military installations. Beyer and four of his Democratic colleagues sent a letter to the head of the Government Accountability Office Monday (Jan. 28) calling for an examination of everything from which helicopters tend to make the most noise to which neighborhoods military aircraft pass over most frequently. Reps. Eleanor Holmes Norton (D-D.C.) Jamie Raskin (D-Md. ), Anthony Brown (D-Md.) and David Trone (D-Md.) joined Beyer in writing the letter. The lawmakers are also looking to learn more about “degree of coordination that currently exists among the various government and non-governmental entities operating helicopters” in the region, in order to improve efforts to cut back on noise. Beyer has previously proposed similar efforts aimed at increasing that collaboration, including a “working group” that would’ve included both local officials and representatives of the Federal Aviation Administration and Department of Defense. Beyer has certainly raised the issue plenty of times since winning office for the first time in 2014, and has also pressured the DOD to pursue other studies of helicopter noise, or even to simply fly its helicopters at higher altitudes to reduce noise complaints. However, many of those efforts have been stymied by Republican leaders, who have long controlled the House of Representatives — Beyer is cautiously optimistic that the new Democratic majority will be more sympathetic to his concerns. Beyer and his colleagues are hoping to get an answer on this latest request for a study within the next month or so.